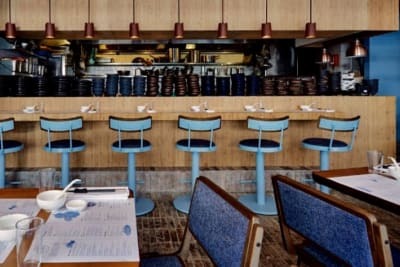 It should come as no surprise that Hong Kong’s restaurant market is as competitive as ever. With a slew of new openings and swift closures hot on the heels of one another and a staggering one outlet for every 600 residents in this city, getting started as an independent, first-time restaurateur is as daunting as it is impractical. With countless factors to consider – finding a suitable location, affordable rent, food costs, salaries, and initial investment, to name a few – the reality of even making it past the preparatory business plan seems bleak. 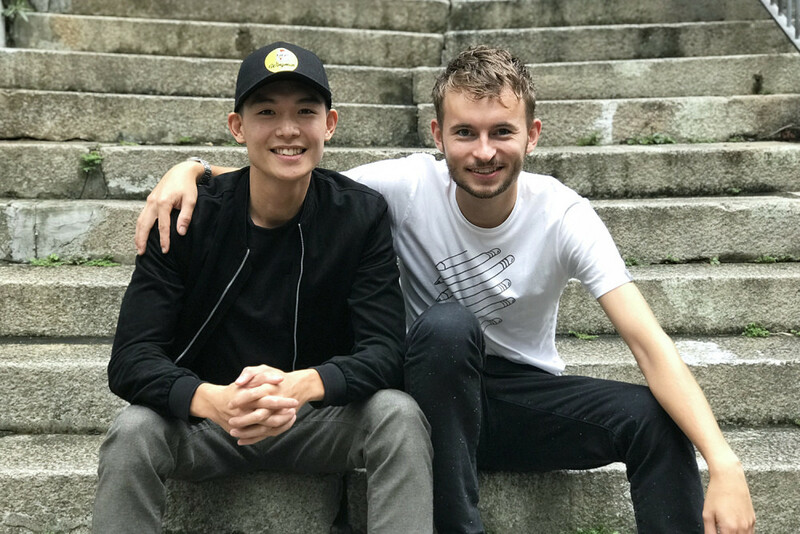 Enter Taste Kitchen, an F&B incubator programme developed and led by Caleb and Josh Ng of Twins Kitchen and supported by PMQ. Approved applicants benefit from a rent-free, 30-seater restaurant space inside PMQ during the incubation period that they operate themselves, and one-on-one, hands-on mentorship sessions with industry professionals across multiple disciplines are facilitated by Twins Kitchen to help the incubatees to develop and execute their concept. 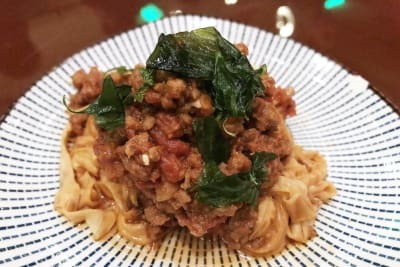 From branding and PR to food tech and design, Taste Kitchen hopes to foster restaurant start-ups, provide them with well-rounded experiences and impart a realistic picture of the costs and efforts of running a restaurant. Jack Law (JL): My background is in marketing and branding. We always had this concept in our heads. I do a lot of concepting and branding for other F&B brands, but then, with this, it’s different, because it’s so natural to us. We want Wingman to be a social spot and a fun place to be. Elliot Nicholas (EN): I’ve always wanted to open my own restaurant. I’ve spent four summers at university working at different restaurants, trying to gain experience. I came back to Hong Kong, and my goal was to open up my own place, but also to work through the stages of how to run a restaurant, so I’ve worked in every position, from dishwasher up to almost a manager. In the past, I’ve worked at K-TOWN Bar and Grill and Beef & Liberty. What was the inspiration behind Wingman? EN: We love wings. In Hong Kong, you could go to a restaurant and maybe get one type of wings, but you could never have a wings dinner or meal. Even though they’ll have really nice chicken, they won’t have options to dine on just wings. So we hope that all our flavours are completely different enough so that diners can compare and discuss their meal. We’re trying to promote a sharing culture. This is still a half-sized chicken, but prepared four or five different ways. My three passions are food, music and sports, and I feel that our concept can combine all of those things so well, because we want it to be a spot for social gatherings. JL: There’s no wings culture in Hong Kong. People here love fast things, but we’re trying to change the perception that wings are fast food. We put a lot of prep work into our wings, so when we actually cook, it’s fast, but the ideas behind the seasoning and flavours aren’t. It’s not KFC. Tell us a bit about your branding and the idea behind it. JL: At first, we weren’t called Wingman. We were called Ho Wing, which means both “tipsy” and “good chicken wings” in Cantonese. But we want to expand our concept in the future, and we thought that Ho Wing was too niche and limited us to local Hong Kong; we couldn’t even expand to China with that name. We went to designers and illustrators Leo and Akira Mimasu, who run Mimasu Studio and helped us to develop a new look for our brand. They came back with six different ideas, and we chose this, because we loved the colours and it gave off the vibe we wanted our brand to have. What is your cooking and preparation process? EN: All the wings are marinated in a different marinade, in a brine. We use Brazilian chicken wings, which we think have a lot more flavour than some other options. We took years to test out different wings. We use three different brines; spicy, sweet and salty. We do that for 24 hours to really get the brine inside the wings; otherwise the flavour only sits on the skin on the outside and the chicken on the inside is bland. Using the fantastic space and equipment at Taste Kitchen, we’ll be able to have the opportunity to make sure our wings are marinated long enough to get the maximum flavour out of them. We don’t batter our wings; they go straight into the fryer with a bit of salt and seasoning on the outside, and we fry them in vegetable oil. What were the challenges starting Wingman? JL: We launched the business four months ago, but we had the idea for the Wingman concept close to three years ago. Back then, we didn’t have the experience, the money or the network to run this concept. Also, finding partners and suppliers who can cook and deliver our products was tough. We couldn’t afford our own shop and kitchen. EN: We already had our brand and product developed, but it was hard for us to get our foot in the door in Hong Kong’s F&B industry. We never made it to the consumer stage; the final step was too big of a hurdle. We couldn’t justify the spend, especially with it being such a new concept, and quite a few people have said to us, “Oh, just chicken wings? That’s so weird,” until they experienced it for themselves. In the beginning, it was difficult to get our product out to the masses, to let them try it and understand our concept. Even if you find a place with good rent, you’re looking at $750,000 for all the equipment you need; it’s a big investment trying to get a restaurant opened up. It’s fantastic that we’ve found Taste Kitchen, who can help us along. JL: Eventually, our friend, who runs his own restaurant, offered help to get the concept off the ground. We use Burger Joys as a partner restaurant and distribute our food through Deliveroo. All our wings are cooked and delivered from their shop in Wanchai. We created our packaging to accommodate our food; it was designed with ventilation in mind so that the wings don’t get soggy in the time it takes to travel to the customer. EN: We made sure to train the staff at Burger Joys when we first started and made sure the product was what we wanted to sell. They don’t provide our full menu – just some of our wings and none of our side dishes. The sauces come from us anyway. However, we work and cook at the street markets and pop-ups ourselves. Every street market we’ve done, like at Tong Chong Street Market these past few weeks, people have come specifically to find us and try our wings, having seen us on Deliveroo, which is a great thing to hear. From where do you draw your flavour inspirations? JL: We don’t really look to restaurants in Hong Kong for inspiration. Some flavours we have are pretty classic; we serve them because we want to do it better than other restaurants. 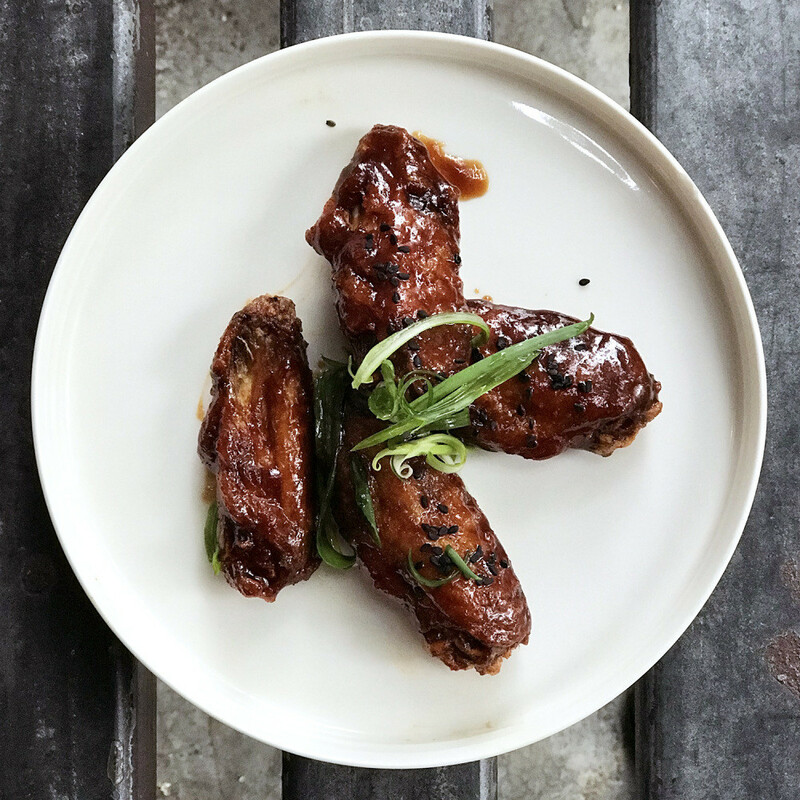 But the new and more original ones, like our hoisin wings, there’s a lot of R&D. People already serve hoisin with duck, so we thought, why not chicken? 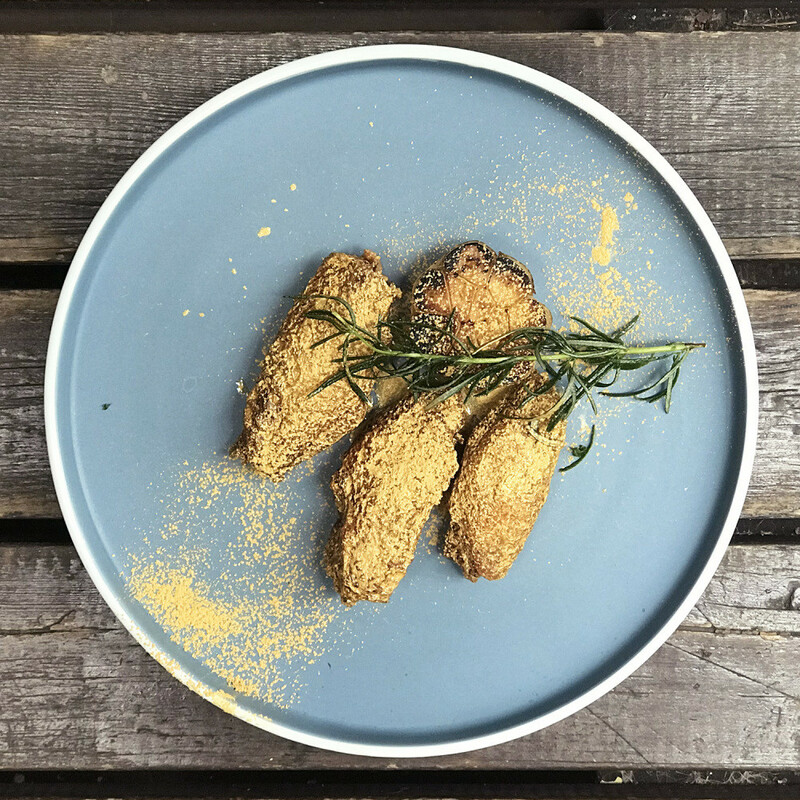 We served coffee-flavoured wings at Tong Chong Street Market, and they were a surprise hit. EN: I’d say we serve fusion food. We both grew up in Hong Kong, and that’s our palate. We wanted to take flavours from local food and use them here. We don’t want to go full Cantonese with our flavours, but we want to take the best of both worlds and combine them in one restaurant. JL: We also plan to expand our flavours, with inspirations from Southeast Asia and the Caribbean. We don’t want to limit ourselves as just Cantonese or Western; we want to have global appeal. 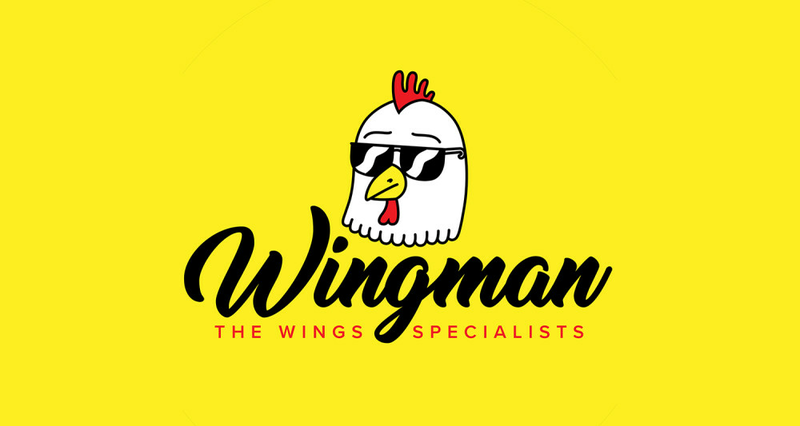 Which wings flavour do you recommend for first-timers to Wingman? JL: That’s like having to choose a favourite child! EN: Definitely hoisin, which is served with hoisin and honey sauce and black sesame and green onion on top. We’ve had so many people come back with praise for them. There’s depth to them. Do you think that your wings concept limits you as a business? EN: I think we have taken on quite a challenge with this. We want to challenge the traditional dining concept. 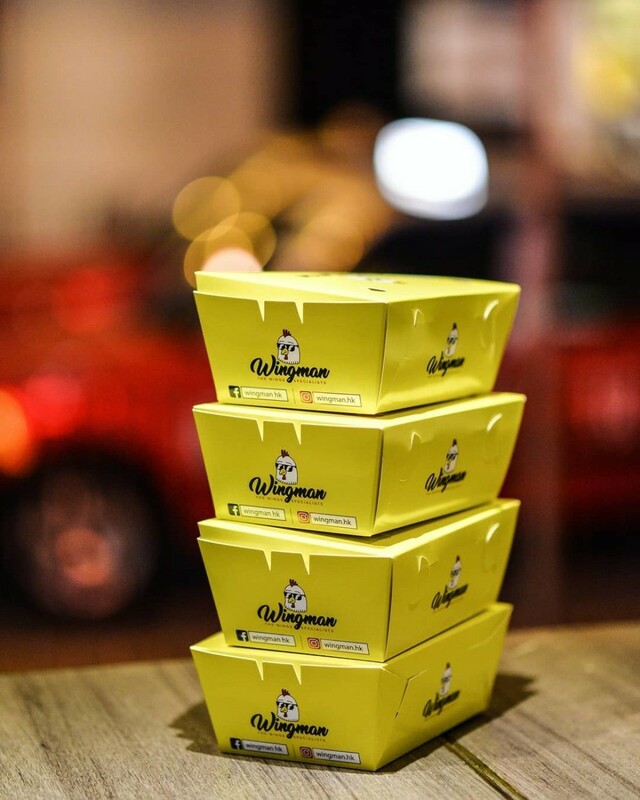 You wouldn’t say that a burger restaurant is limiting – why can’t it be the same with a wings restaurant? To be honest, we have more diversity on our menu, and we have an extensive menu. It’s not just three different chicken wings that all taste the same. We want all our chicken flavours to be different, and not just the sauce that goes on them. 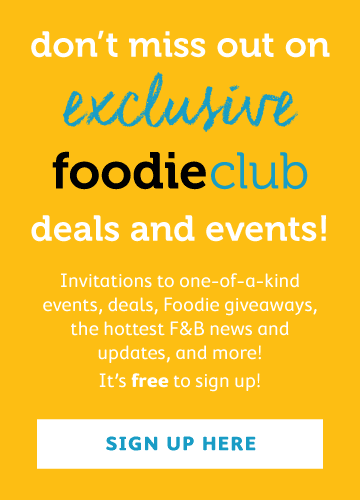 We want people to discuss our food and have different opinions on each one; they are quite polarising. We want people to try new things with our wings. We want to push the boundaries of wings and show people that wings can work as a full meal and not just as a side dish or an afterthought. What is the number-one thing you are hoping to get out of the Taste Kitchen incubator programme? JL: For myself, I want to learn if we can actually take the wings concept to the restaurant level that we want it to be at. We can do it as fast food, but we don’t want that. That’s why we believe we need the help of Taste Kitchen, who will be able to provide that insight. They have valuable contacts and experience. We’ll be meeting with a corporate chef next week, who will help us to improve our product. You don’t just get this sort of help otherwise. How do you just go up to a chef and ask to borrow him for a day? You can’t, so it’s amazing that Taste Kitchen can provide that. When we were first approached by them, we couldn’t believe that such an opportunity existed; we didn’t know about the incubator programme. EN: We thought it was a joke. We thought we were being pranked. JL: At our first tasting with Taste Kitchen, they gave us tons of feedback, especially on the brine and how to garnish our plates better. It took us and our wings to the next level, so before we open our pop-up on 11 December, we have to make sure the new wings are going to better than before and that everything looks and tastes better than before. EN: We’re working around the clock on developing better side dishes now. What’s the next step beyond Taste Kitchen? EN: To open up our own kitchen. That’s always been the end goal. We’ve had a few hurdles along the way, but we think this is the path that will best help us to achieve that goal. Everything we’re doing is with that in mind. JL: Black and yellow is our theme. We’re imagining a casual place, with music playing, live DJs, local breweries on tap. People will come in and chill and drink. EN: The vibe will be relaxed. There’ll be neon signs. We want to create a “wings culture”, which is a sharing culture where everyone is chill and there’s good music playing and it’s loud and bubbly. It won’t be a sit-down, stuffy restaurant. Our food is so relaxed, so that’s what we want to do with the atmosphere as well. We’re speaking with Hong Kong’s first gin company, Perfume Trees, to get them on board. We want to support other local brands and companies; we’re a local start-up, and going into this business, we see so many others that we want to work with as well. It’s a great thing to promote. We want to try to have as many Hong Kong craft beers and spirits represented on our menu and hopefully some desserts as well, like local ice-cream makers. We want to fully encapsulate as many local start-ups as possible, a culture and community that we appreciate we are part of as well. The camaraderie is great.